Scrooge McDuck, today famous as the richest duck in the world, was born into a poor family of 19th century Glasgow and during a lifetime of adventures he found many geological treasures and made his first fortune with copper and gold – or so imagines Keno Don Hugo Rosa, American comic book author, in a successful series of 12 comic book stories published in 1992-96. 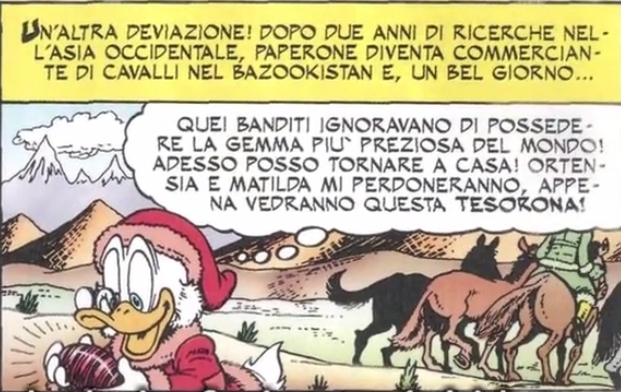 Don Rosa did quite some background research for the series. 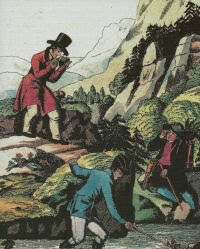 Scrooge meets real-life based characters or witnessed historic events, like the eruption of the Krakatoa in 1883, and there is also some geology or references to precious gemstones to be found. 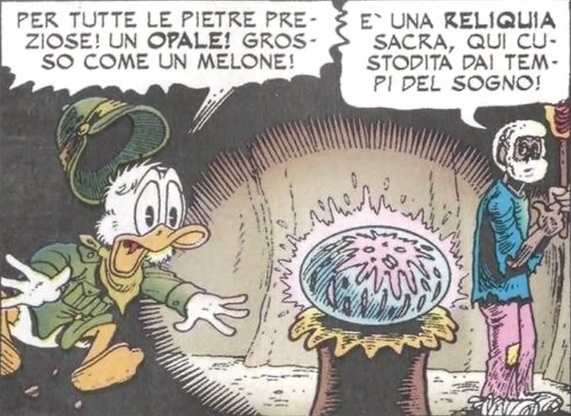 In the story “Dreamtime Duck of the Never-Never” Scrooge, yet at the beginning of his career, finds a dreamtime opal in Australia but decides to leave the for the Aborigines holy relict untouched. Australia is indeed famous for its opals, a noble variety of quartz. However a crystal reveals to Scrooge that he should travel into the north, there he will finally make a fortune. 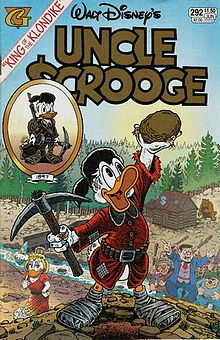 During his travels Scrooge is taught some basic geology by the former prospector Howard Rockerduck when searching for copper in Montana and he temporarily becomes owner of the Anaconda copper mine. In July 1897 the Seattle Post newspaper had just one headline - GOLD! - discovered in Alaska. The news will trigger the last great gold-rush in Klondike. In the stories "King of the Klondike", "The Prisoner of White Agony Creek" and "Hearts of the Yukon" we meet Scrooge, after leaving Australia, as a prospector participating to the gold-rush of 1896-97. The gold of the Yukon is found as dust in ancient fluvial sediments – referred as muck by the miners - as correctly depicted in the comic. Scrooge this time is successful, even finding a goose-egg big gold nugget. In Russia he is informed of the existence of a gigantic striped ruby, finally finding the lost gemstone. There are indeed rubies with a phenomenon called asterism. Such star stones display a luminous star-like figure or stripes when seen in light. This optical effects happens due twinning in crystals, small tubular cavities or when fine fibers of another mineral grow into a larger crystal. It´s a very rare effect in rubies and for a time this gemstone is the most precious thing Scrooge possesses. 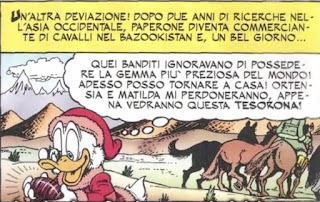 In one of the last comic stripes finally Scrooge McDuck achieves the goal of a lifetime – he is the richest duck in the world!!! - proving the ancient prophecy of the clan McDuck as true - "Fortuna favet fortibus".